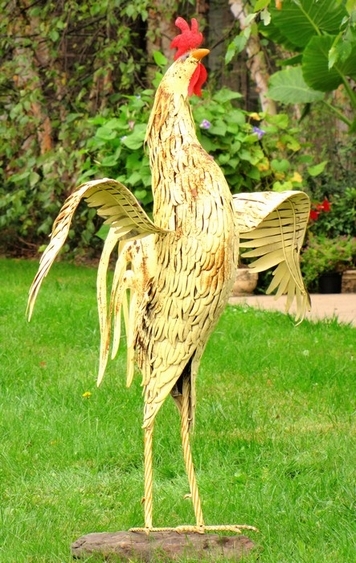 Meet Dennis, one of our largest and most exciting metal roosters we carry! At over 4 feet tall with wings spread open with proud gusto and strength, this amazing metal rooster is ready to protect your garden and country home. Made of metal, available in two colors: Antique Yellow (as shown here) or Antique Brown.